In conversation with Abhijit Mazumdar, the son of Charu Mazumdar, who led the Communist Party of India (Marxist-Leninist) in its violent confrontation with the Indian state until his death in 1972. Fifty years after the Naxalbari uprising, a son reminisces about his father, the revolutionary Charu Mazumdar. 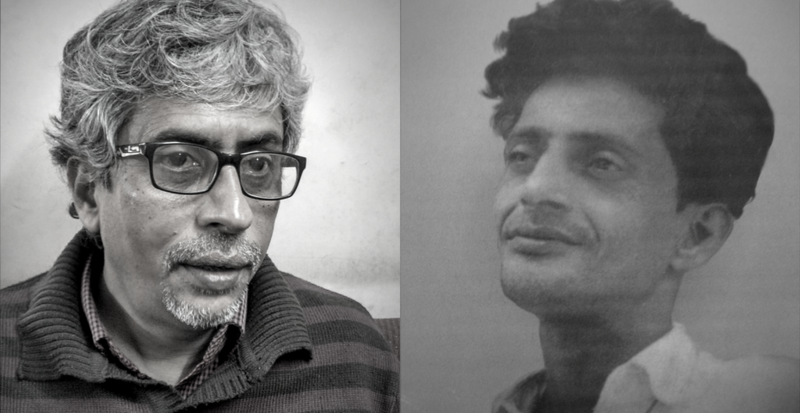 Fifty years after the Naxalbari uprising, Abhijit Mazumdar (left) reminisces about his father, the revolutionary Charu Mazumdar (right), who died in police custody in 1972. In the fourth of her series of interviews on the 50th anniversary of the Naxalbari uprising, the author speaks to Abhijit Mazumdar, son of Charu Mazumdar, who led the Communist Party of India (Marxist-Leninist) and its armed struggle till his death in police custody in 1972. It was late evening. A lifeless body is being taken to the Keoratala crematorium from SSKM Medical College, Calcutta, in utmost secrecy with full security cover by armed policemen. It seemed as if curfew has been imposed in the city. Roads had been evacuated. The police had lined up on both sides of the roads. After a long wait, the body was brought to the crematorium. There too, paramilitary forces and armed police had been deployed all around. Four grief-stricken members of a family – a woman, two girls and a boy – stood all alone inside the police cordon. A policeman handed over a fire torch and asked the boy to light the pyre of his father. And so in the dead of night the mortal remains of Charu Mazumdar, the revolutionary leader, were consigned to the flames. He was the political and ideological architect of Naxalbari and the Communist Party of India (Marxist-Leninist). In the eyes of the establishment, this man, who enjoyed great respect among the common people, was a dangerous enemy. He was dubbed as one who championed annihilation or violent politics. This incident took place 45 years ago. But the flames that emerged from the pyre of his father still blaze in the memories of 57-year-old Abhijit Mazumdar. He had a glance of his father’s feet and that memory too burns like an ember in his mind – his father had died in police custody and the soles of his feet had turned black in colour. It is not easy being the son of such a father. There will be constant comparisons – is he following the path of his father? Are his political goals the same as his father’s? You will have to always face incessant questions, from many quarters, including the media. Although as a boy he had scribbled ‘power comes through the barrel of the gun’ with chalk on the walls of Calcutta, Abhijit grew up to stay away from activism for many years. He entered politics only 25 years after the death of his father. Presently he is the Darjeeling district secretary of the CPI (M-L) Liberation and also a central committee member. He teaches English in a college in Siliguri. Unlike the party his father led, the ‘Liberation’ off-shoot of the original CPI(M-L) is a legal political entity that functions overground, fights elections and does not engage in ‘armed struggle’. In this interview, Abhijit talks about Naxalbari, his parents and the new realities in detail. “My father is my hero,” he says. Only once did Abhijit’s eyes fill up with tears – when he talked about his mother, Lila. It’s half a century since Naxalbari. Do you remember those days? I was only seven when the Naxalbari uprising took place. So I can’t talk about it as part of my experiences. But one thing I must say. It was on a peaceful group of women that the police fired on May 25, 1967. Eight women, two babies and one man died that day. Such things continue to happen even now. Nandigram, Singur, Bhangar… not only in West Bengal, but in different parts of the country. Naxalbari is historically important and much has been written about it. Everybody knows the story of it. How it happened and all that. 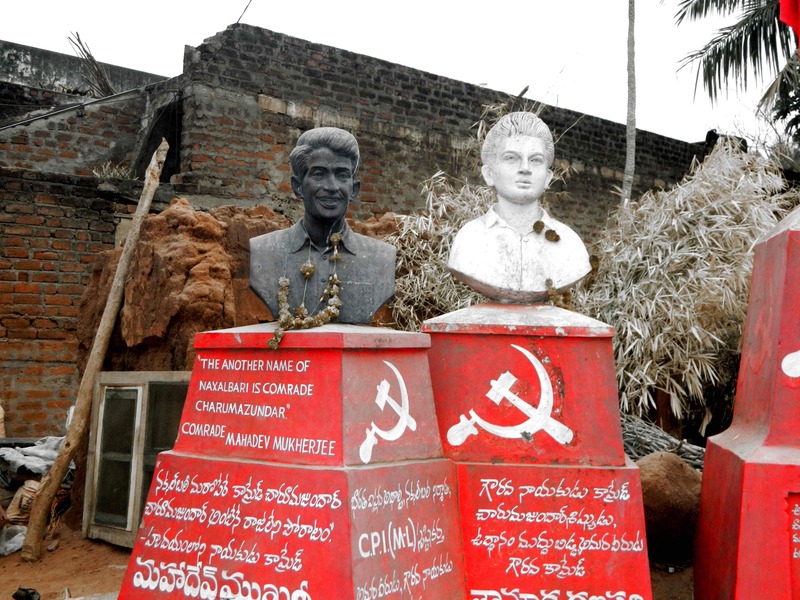 But very few really know what went behind the making of Naxalbari within the fold of the Communist party. Many people think that the struggle simply happened one fine morning. That’s not true. It was the culmination of a series of events. Many long years of hard work by communist revolutionaries was behind it. What happened in Naxalbari was an armed struggle, wasn’t it? Yes. It was indeed an armed struggle. Naxalbari and neighbouring regions are mainly adivasi areas. Tea plantation workers and agricultural labourers living there were landless and had to face terrible exploitation of the landlords. The struggles were against the exploitation and oppression. The revolted with their traditional weapons. There were no guns or bullets or bombs with the peasants. It’s the state that had such weapons. There was a clear call to seize firearms from the police. In fact, Naxalbari was a continuation of the Tebhaga movement that took place in north Bengal and in certain areas that are now part of Bangladesh in the late 1940s. When the Tebhaga struggle was taking place here, armed struggle of poor peasants and workers took place in Telangana too. It was on the strength of the experiences and lessons of the Tebhaga movement that leaders like Charu Mazumdar, Kanu Sanyal, Jangal Santhal, Saran Ghosh and many other leaders like them started organising the plantation workers and agriculture labourers. As I told you, it’s a task that took years. Can you talk about the Tebhaga movement? Tebhaga happened in 1946-47. Tebhaga means two-third. At that time, the landless share croppers who were doing the actual farming had to give half of the harvest to the landlords. They were called ‘Adhiyars’ as they were supposed to part with half of (Adha) what they produced as tax. They were like bonded labourers. They never used to get even the half. Towards the end of the 1930s, the Communist party took up this issue and organised the share croppers in the neighbouring district of Jalpaiguri. It was during this period that my father joined the Communist party. This was in 1939, when he was 20. The sharecroppers started insisting that they would give only one-third of the harvest. Once they got organised, they also started harvesting what they were eligible for. The movement gradually strengthened and along with that state repression too went up. By 1942 the party’s influence spread among the plantation workers and the railway employees. Next year there was a great famine. Workers were starving. Charu Mazumdar and other leaders exhorted people to come together, attack the granaries of the landlords and grab the grains. ‘We may die by a bullet, but not by starving’ was the slogan raised. Soon the struggle spread. Agricultural labourers and plantation workers jointly took out rallies. The struggle picked up steam. Workers harvested the crops, attacked the granaries and distributed the hoarded grain. The state’s efforts to suppress the revolt became more and more brutal. During one of the rallies, peasants tried to grab rifles from the police. This led to police firing and 11 agricultural workers were killed on the spot. Yes. The leaders continued to organise the peasants. In 1953, the Nehru government at the Centre passed a legislation abolishing the Zamindari system. But it was not a bill meant for implementation. It was just to hoodwink the people. The Communist party leadership had made an issue of it too. In 1959, the party called for grabbing the excess land above the land ceiling from the landlords. The movement became more and more strong. But then the party felt that things were getting out of its hand. The party’s state leadership called off the agitation. My father had returned to Silguri, his place, in 1952 and was fully engaged in organising peasants in Darjeeling district. District leaders like my father were greatly disturbed and disappointed by this decision. Ignoring the instructions from the party, they continued organising peasants and tea garden workers urging them grab excess land and revolt against exploitations by the landlords. This culminated in Naxalbari. Was Charu Mazumdar a very strict father? Not at all. He was a very loving and caring father. The image of a cruel and ruthless revolutionary who urged the working class to annihilate class enemies was deliberately formed by the government and the media. But he was never like that. He had very little time to spend with us. Still he used to take care of us when he was at home. Politics was not the only thing that interested him. He loved literature and classical music. It was he who initiated my sisters (his eldest sister Anita is a doctor and his second sister Madhumita is a teacher) and me in both these fields. He introduced Rabindranath Tagore, Sarat Chandra Chatterjee, Bankim Chandra Chatterjee and others to us. Not only Bengali literature. He asked us to read English novels. Not by learning grammar but reading good books is the way to learn English, he told us. My father is my hero. You said you were only seven at the time of the Naxalbari uprising. What kind of childhood did you have? Naturally, our childhood was different. We did not grow up like our friends did. Our home was the party office. Visitors would be around us all the time. Party leaders, cadres and students used to visit my father. Not just from West Bengal, but also from Andhra Pradesh, Tamil Nadu and Kerala. Panchadi Krishnamurthy from Srikakulam was killed by the police at Palasa while he was returning from here after meeting my father. We had ample opportunities to meet many leaders of the movement. As we grew up, revolution became a household term for us. Of course, we kids didn’t understand the politics, but we thought we too had a role in the revolution. We acted like great revolutionaries knowing nothing about revolution. We thought it something adventurous. Slogans of the movement had become highly popular by that time. We too would wander about raising those slogans. There was a small room with wooden walls in our house. It used to be rented out. But at the time of Naxalbari, it was vacant. We kids used to gather there. I remember clearly our writing with chalk on the wooden walls in disjointed hand movements slogans like ‘Political Power Comes through the Barrel of Gun’, ‘China’s Chairman our Chairman’ in big letters. (Laughs). We thought of revolution as a big adventure. Lila Sengupta, wife of Charu Mazumdar. Credit: Suchitra M.
What was the financial position of your home? How were the domestic expenses met? Ours was a middle class family. Yes, we had to struggle. 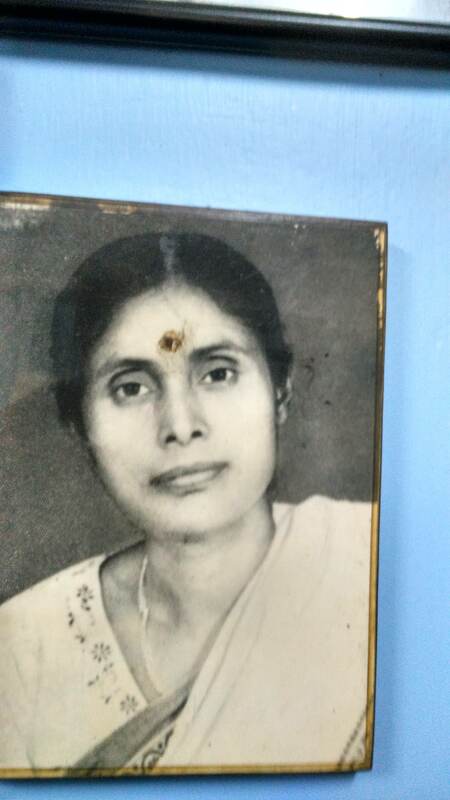 Our mother (Lila Mazumdar) was working as an LIC agent. That was the only means of income. Some of our relatives were also living with us. Ma was taking care of everyone. She had to toil very hard. Going around the houses persuading people to take policies, taking care of us… We are really indebted to her for everything for everything we had in our life including the good education she managed to give us. Did she have any interest in politics? There’s a lot to talk about Ma. In fact I like it more to talk about her. Everyone knows about my father. A lot has been written about him. But only a few know our mother. She is one of the bravest women I have ever seen. She is political inside out. It’s politics she has been hearing, talking and even breathing since she was 13 or 14 years old. Ma’s father was a doctor, Harendra Sengupta. He was in government service. His last posting was in Rajganj in Jalpaiguri district. At that time Ma would have been around 13 or 14. Many freedom fighters used to come there those days. They could not go out of the district since there were cases against most of them. Different newspapers would be available in the enlightened doctor’s chamber. They would get together there, read the newspapers and discuss politics. Ma would serve them tea, sit with them and listen carefully to their discussions. Thus anti-imperialist sentiments became strong in her. Later on she became a communist. Ma was active in the women’s wing of the party and also the Tebhaga movement. Then she became a leader of the party in Jalpaiguri district. She was jailed for months together in 1948 when the party was banned and also in 1950. Was she a full-time party worker or was she working elsewhere too? She was a working woman throughout. Ma used to teach in kindergarten. She was from a very large family. So she had to work. So your mother and father first met in Jalpaiguri? Yes. During the 1940s. Both of them were comrades. They were active workers of the party. They worked together, came to know each other and decided to become life partners. Their wedding was in 1952. Afterwards they came to Siliguri, which was my father’s place. They became active members of Darjeeling CPI. When the party split in 1964, both of them opted for CPI(M). When my father’s revolutionary stand on various issues became too much for the party to accommodate, he was dismissed from the party. He too took the stand that he was not willing to continue in the party. 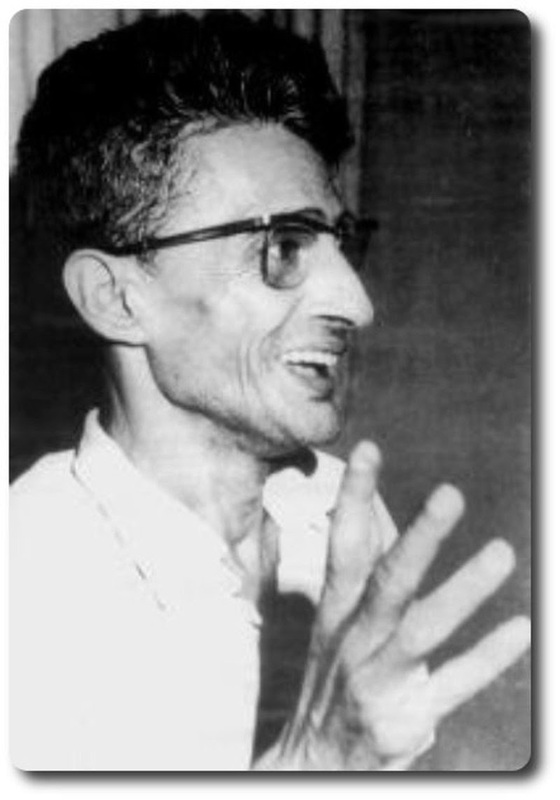 He and other leaders like him who came out of CPI(M) continued their revolutionary work among peasants, and after Naxalbari, they formed CPI(M-L) in 1969. What about your mother? Was she okay with his political transformations? Ma never said that she did not want to continue in CPI(M). But at the same time she did not also renew her party membership. Later on she gave up party activism and instead started to support my father in his party work. It raises the question whether it is politically correct for a woman to abandon one’s activism for her husband’s sake. But that was what happened. And by the middle of the 1960s, my father’s health had deteriorated. He had a heart attack in 1965 and severe chest pain became a recurring feature. He was also troubled by asthma. Thus my mother had her hands full, father’s political work, his health issues, daily visitors, running the family, our education, his underground life, police raid… But none of these could break her. She was a woman of great inner strength and courage. The political ambience that set in after Naxalbari – how did it affect your home? Police raids had become almost a routine affair. Before and after Naxalbari. Police raids were invariably in the night. Knocks on the door and we would know that the police have come to take my father. We had only one big bed in the house. All five of us used to sleep on that. There was no electricity. Only a kerosene lantern. Ma would be the first one to get up when the police arrived. Do you have a warrant, she would ask. If they didn’t have the warrant she would not let them in. The police invariably had to wait outside, whether it was rain or cold or hot. Not only that, Ma would make a list of what all weapons the police were carrying with them – how many revolvers, of what make, how many bullets… She would also get the list countersigned by the inspector. It is a document. The police should not lie later on. Ma used to take all precautions to prevent any false allegations. They would be allowed in only after the completion of all these procedures. Another thing to be mentioned is that my Ma had a deep, loud voice. If she were to say something loudly, anyone would be taken aback. The police didn’t use force to get in? No. They never dared to do that. That was because we were well known to everyone, including the media. The respect my father and mother used to get here mattered a lot. He was after all a Siliguri man. He used to be very active in the cultural scene too. Maybe the police behaved with decency because of all these factors. What was the state of affairs after your father went underground post-Naxalbari? Our house was cordoned off by armed police all the time. Bengal police, CRPF…We got accustomed to it gradually. That was the time when Naxalites were branded as terrorists and murderers. The government, media and all political parties were against the movement. What was the attitude of those in your immediate neighbourhood? Did they isolate you? Never. They always had great respect for my parents and supported us. The people knew my father very well. The term ‘naxal’ itself was coined by the media to abuse and insult the revolutionaries who left CPI(M) in the beginning. Here is a group of terrorists, they are collecting arms, and they are going ahead with subversive agendas. This was the daily rant of the media. They just developed a new word to malign the breakaway group. But gradually that word gained certain respectability. It also became an adjective of which one could be proud of. Anyway, the local people did not believe in the false propaganda of the police and the state. They were always available for help. Even those belonging to other political parties were helpful irrespective of political differences. This is indeed something that has to be acknowledged. Did you ever meet your father while he was underground? Yes. I met him along with Ma. I have memories of our going to Puri and Visakhapatnam. At times we stayed with him for a few days. They were all meetings shrouded in secrecy. When was your last meeting with him? My father went underground for the last time in November 1969. He was arrested in July 1972. He was in Kolkata in the Lalbazar police lockup. After 12 days, on July 28, he died. My mother, sisters and I met him twice while he was in police custody. The last meeting was on the 25th. ‘How many days will you stay here’ he asked us, ‘go back to Siliguri,’ he said. My elder sister had joined pre-medicine in Kolkata at that time. Was he produced in court after arrest? No. Not even once, despite it being illegal. He died in police custody. He was sick. Was he physically tortured while in custody? I don’t know. But he was in a very bad shape when I last saw him. The meeting was in the presence of police officials, as it always was. There were certain police officers like Debi Roy, Vibhuti Chakraborthy who had become notorious for killing naxalites. They would always be present. Still Ma asked, ‘you have become very weak’, ‘what have the police officers done to you’. What she really meant was whether he was tortured. ‘They come in the morning, noon, evening and in the night, and they won’t allow me to take rest or sleep,’ he said. That means the interrogation went on continuously for hours together. Not only that, the life saving drugs that were a must for him were not made available in the lockup. Being a heart patient he had to take certain medicines without fail. When he had chest pain while at home, a doctor from the neighbourhood was summoned. He was a communist too. He would come over and take care of the situation. Sometimes oxygen had to be given. No such facilities were available in the lockup. Not allowing him to rest, not giving medicines, non availability of life saving facilities. Each of these is a torture, isn’t it? Grave human rights violations. How did you come to know of his death? It was my sister who came to know of it first. The police came to her hostel and told her that our father has been taken to the hospital for an emergency and that he wanted to talk to her. My sister instinctively felt that this was a sheer lie. Our father would never ask the police for such a favour. She immediately left with them for the hospital. What she saw was the dead body covered with a white sheet. We, in Siliguri, were also informed by the police. Our neighbours arranged air tickets for us to reach Kolkata at the earliest. We reached the hospital by evening. By that time the body had been shifted to the mortuary. The police took us there to identify the body and confirm that it was he who had died. The place was full of policemen. The underneath of my father’s legs had turned black. Pitch black. It’s unnatural, isn’t it? Those black feet will never fade from my memory. The body was not brought to Siliguri? No. Ma had insisted that the body be released and she wanted to take it to Siliguri. But they refused out right. Where did the cremation take place? In the Keoratala crematorium. The crematorium was packed with Bengal armed police and the CRPF. The city was as if it was under curfew. But I remember it very well, when the body was being taken to the crematorium, small groups of four or five would suddenly emerge from pocket roads in a flash, pay tributes to my father and the movement by raising revolutionary slogans and vanish as swiftly as they had appeared. It required extraordinary courage to do that in the presence of so many policemen all around. I will never forget that sense of solidarity. Most of the party men were underground. If they emerged from their hideouts, they would be captured, tortured and killed. We felt quite proud of those who came out daringly and paid homage. It was also a consoling act on their part. We were relieved that we were not all alone in those moments of great grief and tragedy. How did your mother react to his death? She was devastated. We had never seen her crying till that day. Ma never discussed politics with anyone thereafter. She fell into a kind of political silence. She did not even talk to the media. Not even on the phone. It was a deep silence. There were many callers from various parts of India and also abroad. But Ma never attended those calls. That absolute political silence lasted till her death. You had mentioned that she was a political person, in and out. But then why did she maintain silence for almost 20 years? I really don’t know. But that was how it was. Maybe she was apprehensive about the safety of us children. Maybe she wanted to keep us secure and protected. Even we used to wonder how a person whose thought and action were steeped in politics could transform like this. There could have been one more reason behind the silence. By 1972 the movement had weakened considerably due to state repression. There were differences of opinion too. Loud criticism emerged against the political strategy and line of Charu Mazumdar. The party got divided. The conflict became intense after his death. Some of those who had close connections with father and our family fell apart. Many splinter groups emerged in the movement. This split and the distancing of those who were regarded as family members deeply hurt Ma. She felt it improper to take any side. That was indeed an issue. Maybe she thought that it’s better to remain silent under the circumstances. Yes, she was working. That was the only means of income. Ma has never known rest. She continued her LIC agency, went around the houses and persuaded people to take policies. My elder sister has written a book about her in Bengali. She has mentioned about the contradiction in our mother selling life insurance policies to people for maintaining her family while our father was being portrayed as one who called for annihilating enemies and killing people. You did not demand a probe into the death of your father? Not at that time. I told you, our mother had turned her face away from the world. We were only school students. Most of the comrades were underground or in jail. It was a time when no one was with us. 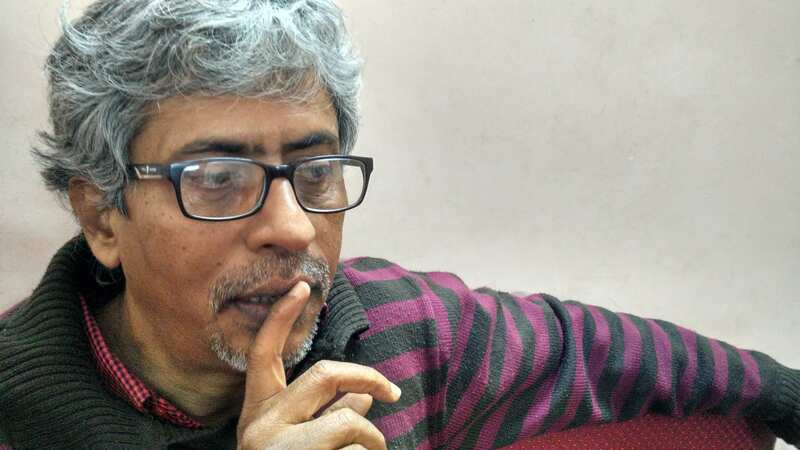 But after I entered politics, in 1997, we moved the high court demanding a judicial enquiry about the death of father, Saroj Dutta, who was the party’s state secretary, and all the naxalites killed at that time. The petition was dismissed. We went to the Supreme Court. But nothing happened. Were you active in student politics? No. We kept away from politics and concentrated on studies. But we were engaged in social work. Father’s death, the damaging accusations about him, the criticisms… All these would deeply affect us too. 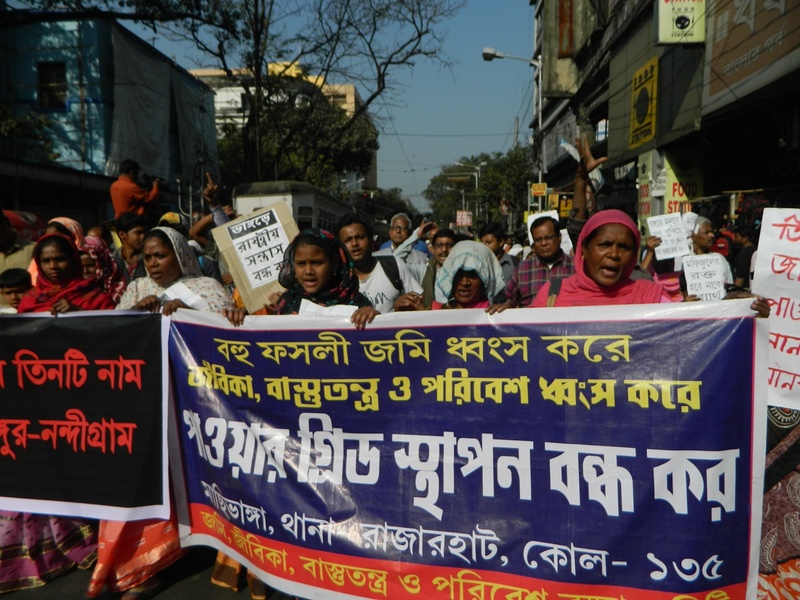 The children of Charu Mazumdar who exhorted students to abandon studies and to go to the villages, getting bourgeois education, was an accusation against us. We were constantly under observation for being the children of Charu Mazumdar. We used to become quite self conscious even while walking through the streets. We used to feel that people standing around in the shops were watching us and were passing comments – good or bad – about us. Growing up self-conscious is certainly not good for children. My mother wanted us to focus on our studies. At the same time, she used to tell us repeatedly that whatever professions we chose, we should do something for the people. You entered active politics in 1997, a quarter of a century after your father died. Were there any particular reasons for that? I entered politics after the death of my mother. I, who started breathing politics right from the moment I was born, how could I keep away from it for a life time? It is there in me. Coming back into the movement was inevitable. That was how I joined CPI(M-L) Liberation. Vinod Mishra, who was the party’s general secretary, was close to our father and to our family. He too asked me to join the movement. What is the relevance of Naxalbari now? Land was the central issue of the Naxalbari uprising. Implementing land reforms 100% was the demand. The form of the agitation was to seize excess land from the landlords. The landless agricultural labourers joined the movement for land. But things have changed after the economic reforms and liberalisation of 1991. Now the corporates are plundering the wealth of the nation. Whichever government is in power, they are all on the side of the corporates. Land has again become a central issue. The struggle for cultivable land is going on in many places under the leadership of Adivasi and Dalit organisations. People’s struggles are ongoing against eviction from own land. How to protect one’s own land which provides their livelihood from being grabbed by the state and mega corporates is the worry of the peasants and common people. Ownership of land has emerged as one of the most important issues. The issue of land continues as it was even 50 years after Naxalbari. That is why Nandigram and Singur and Bhangar occur. A direct confrontation with the state may become an armed struggle. But weapons should not get the upper hand. It should not control the movement. Things change when the entire focus is on armed struggle without mobilising people. All state governments have constituted land banks as directed by the World Bank. The land in this bank, whose is it? Recently Mamata Banerjee said that there are 10,000 acres of land in the West Bengal land bank. Whose land is it? If it is government land, it belongs to the people even according to the bourgeois definition of democracy. It does not belong to Mamata or Modi. How is it that Monsanto and other large companies are conducting genetically modified crop experiments? It was the centralisation of land that Naxalbari questioned. That is exactly what is happening even now. Land is in the hands of the state and the corporates. The Naxal organisations are making their presence felt again either by joining the new land struggles or by declaring solidarity with them. The person who was here when you came in to meet me was a comrade from Bihar. He had been to Assam. On the border of Assam and Arunachal Pradesh, land was given to refugees as part of their rehabilitation years ago. But now the government wants it back and armed police fired at the people who refused to be evicted. 15 people were killed. It was the first anniversary he attended. There are many such resistance movements in all parts of the country. Posco, Niyamgiri, Dadri… Land, livelihood, democracy have become the central issues of current struggles. We concentrate on these issues. There are certain issues like caste and patriarchy which are deep rooted, but which are not taken up by parties including Naxal groups. It is true that these issues were not (traditionally) addressed by the movement. But it is not so now. We are in constant discussions with Dalit groups. We are also seeking the ways to move forward together. The world has changed. There have been many changes even within the Dalit movement. We are relearning, reassessing and reinventing Ambedkar. We are trying to understand him afresh. Ambedkar wanted to abolish caste. This is a very radical stand considering the Indian social realities. But at the same time, he himself was not a leftist. After the Una agitation, Jignesh Mewani repeatedly has said that the Dalits should stand with the left for opposing fascism, casteism and Brahmanism. Different kinds of changes are happening in every movement. We have already called for ‘Udo Mere Desh’ struggle. It is the same situation in gender discrimination. New evaluations are taking place. Gender discrimination is more complex an issue. It starts from home. But at the same time, applying western feminist theories may not be a solution. The Indian realities are different. We are constantly evaluating the lapses that have happened in the movement. There is a time difference of as much as half a century between the Naxal movement of the sixties and seventies and that of now. What all changes have taken place in the positions of the movement vis-à-vis various issues? The Naxal movement of that period basically tried to organise the small farmers and the agricultural labourers as a class against the exploitation of the landlords. But the present realities are different. It is not possible to limit the work to either villages or to the agricultural labourers. We have prepared a document called urban work. The migration to cities for livelihood, the poverty in the cities, slum life…all these have to be taken into account. Things are quite complex now. Just think, how much has the agricultural sector changed! The violent nature of the much celebrated green revolution has affected the farmers deeply. They have been alienated from their traditional farming. Fertilisers and pesticides have reduced the productivity of the land. Land and water have been polluted. Farmers have lost their right on seeds. Seeds are now becoming the monopoly of companies like Monsanto. As I said earlier on, no government has implemented land reform the way it should have been. Instead they have grabbed land and have passed it on to corporate companies. Land acquisition rules are being made as liberal as possible. Adivasis are being evicted from resource rich areas. After ever so many five-year plans, the condition of adivasis and Dalits remain as pathetic as ever. Everything is now controlled by the market. There is a mushrooming of Special Economic Zones which enjoy all kinds of tax concessions. Industrial pollution continues. The gap between the rich and the poor widens. The left parties in power go farther and farther away from the poor. There is a big vacuum in the left. Fascists like RSS and BJP are getting stronger and stronger. Communalism and fascism are on the upsurge. Campuses are being depoliticised. Universities are becoming the factories for producing wage labourers for capitalism. The mainstream media too is in the clutches of the corporate companies. They are also able to alter the thinking of the people in a strategic manner. We know how the media succeeded in enhancing the image of Modi and the BJP during the 2014 general election. It is during such a juncture when issues are very complex that we are trying to strengthen the vacant Left. If you take into account the last 25 years, you will find that it is a capitalistic revolution that has influenced all sectors. Everything seems to have sunk in it. Even those, who speak of change. How can that reality be changed? Yes, this is the time for a second independence struggle. Time for a new brand of politics, radical politics. We have to regain ourselves by destroying the capitalistic revolution. There are many small initiatives in the country which say that an alternative world is a possibility. Such groups will come together and acquire more strength. A second independence struggle, a massive revolution is in the making. Rohith Vemula’s suicide, that was not a suicide, it was a murder. A murder in which the state had a direct role. Rohith is a symbol of the new brand of politics, a radical politics. That’s exactly why the state was scarred of him. Eliminate him. What is your view of the armed struggle of the Maoists? It is politics that ought to lead any movement. It should also have a mass base among the people. When all democratic mode of protests fail, there is no other way than armed struggle. If weapons become a must, they have to be used. A direct confrontation with the state may become an armed struggle. But weapons should not get the upper hand. It should not control the movement. Things change when the entire focus is on armed struggle without mobilising people. As and when the state enhances its forces with more weapons, the movement also is forced to enhance its armed power. More weapons mean more money. Sponsors may have to be spotted for that. Very often it would be corporate companies. Thus both the state and those who fight against the state will be controlled by the corporate companies. Knowingly or unknowingly, the Maoists seem to have fallen into such a trap. We discussed the fight for land. That was about the ownership of land. But the existence of the planet earth itself is in peril. Climate change and the global warming. It will be the impoverished and the already marginalised sections of people who will have to bear the brunt of it. But these hardly become political issues. You are right. It is high time such vital things became political issues. What’s the relevance of politics if the earth itself is not there. We are now studying these changes. How these are increasing the gap between the rich and the poor, how the marginalised are further marginalised. Over exploitation of resources and destruction of nature have led to these issues. When we talk about the plunder by large companies, when we talk about the ownership of resources and the managing of it, we are actually addressing the issue of earth’s existence too. What is the biggest failure of the communist movement in these times? The inability to attract youngsters. During the Naxalbari movement it was the youth who were attracted to it. Students from all disciplines came into the movement. But most of today’s youth are in the fallacy of capitalistic revolution. They dream only of their own financial growth, not a society based on social equity. They are after the illusions of capitalism. But it is not their mistake. It is the failure of the political movements. Interventions are required. Slogans have to be changed. More have to be learnt about the problems of the youth and their dreams. There is a tendency to dismiss any talk about a new world as an impractical romantic dream. Everyone seems to have become very practical. Any revolutionary thought will be romantic to a certain extent. Otherwise, a new world cannot be conceived. Romantic ideas have to be converted into ideological advancement by hard work and the willingness to undergo hardships. The old Naxalite movement might have failed in making total changes in the social and political structures. But the ideas and the dreams about change the leaders put forward have not lost their relevance. New movements and peoples’ struggles will further strengthen them. M. Suchitra is an independent journalist based in Kochi, Kerala.